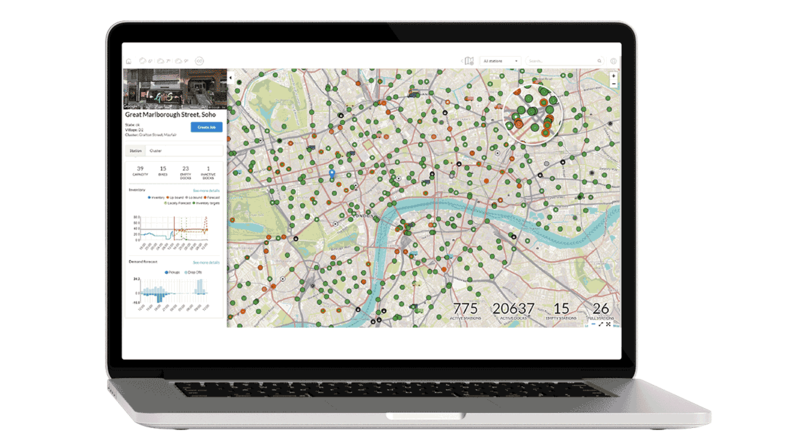 DecisionBrain has developed the system that optimizes the London Cycle Hire Scheme, one of the largest public bike hire systems in the world comprised of 12,000 bikes and 800 docking stations that cover over 100 square kilometers and account for over 10 million yearly rides .The solution combines Machine Learning forecasting with Optimization techniques and is designed to support planners monitor the system in real-time, anticipating potential issues, and defining the optimal schedule for bike redistribution. The system uses Machine Learning techniques to accurately forecast each station’s pickups and drop-offs in 10 minutes slots for the next 24 hours. This is done by combining historical data with external variables such as weather forecasts and traffic conditions. 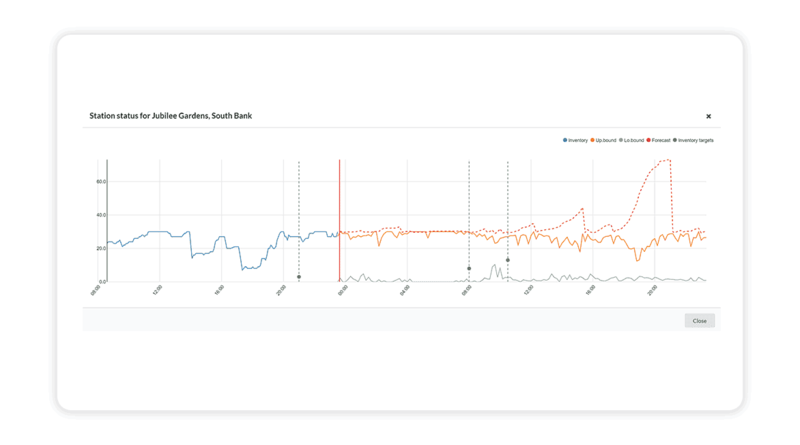 Based on the forecast, the system defines in real-time the optimal configuration (bikes per station) that will minimize the risk of empty or full stations and the need of van movements. It also generates each technician’s optimal maintenance schedule for collection or site repair. Throughout the day, the system monitors the real-time situation of each station (actual pickups, drop-offs, current inventory) as well as real-time weather and traffic conditions, alerting planners of potential issues and proposing optimized corrective measures. 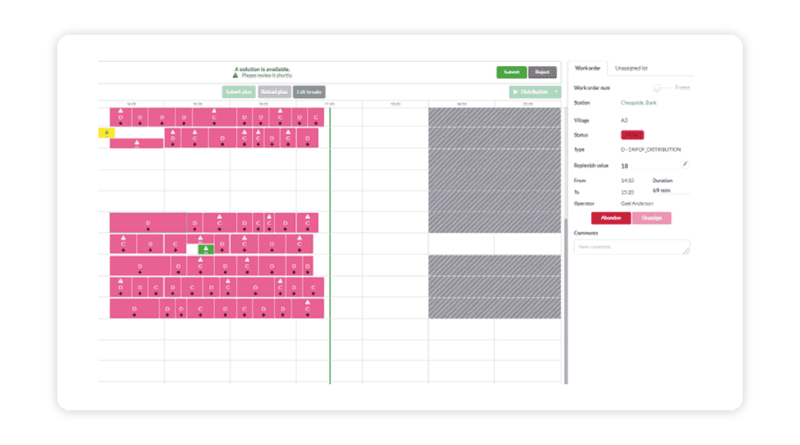 The user interface is clean and intuitive allowing planners to focus on the most relevant issues and make fast data driven decisions, while monitoring overall KPI performances. It also provides a collaborative environment where several planners can work in parallel. Serco and DecisionBrain worked together to optimize the London Cycle Hire Scheme, that with its over 12,000 bikes and 800 stations is one of the largest city bike hire schemes in the world.